I hoped for 60-80 books to be pre ordered and thought it might stretch to 100 books. But it just keeps going and going and I want to share some wisdom about it. Selling more than 200 books that haven’t been printed yet wasn’t on my list. It’s actually 242 books pre ordered right now and I’m not even counting the museums planning to take it in to their shops. Why has it gone so well? I have sort of failed another crowdfunding event earlier and have snapped upp a few crucial things from that. Since this already is such a success it feels like I have gathered enough credit to share some wisdom. Olof and I have been really busy finishing the book and haven’t had time to manage the crowdfunding campaign much since it started. Some how our network fell through and went viral. I thought about putting up a Facebook ad but it only took 44 hours to achieve our crowdfunding goal so it didn’t feel necessary. Although your project is super-fantastic you have to come to terms with that no one will ever be more engaged in it than you. There are lots of people making great stuff all the time, so why should any one care about our project? Make people understand why are you doing this. You have to personally engage people in what you’re doing. To manage this they have to understand the “Why?”. And you have to have a video. Check out what RocketHubs CEO has to say about “Why?” here. You must have a network or be able to use some other network to spread your message. It is crucial that some one else goes out of their way to tell people about your fantastic project. Backers need rewards! You have to offer something in return to your supporters. It doesn’t have to be a physical object although physical stuff really helps. Make sure the message is short and very clear. The attention span of internet-people is short. We had the advantage of me (Martin) being an information designer, I know how to design information and put a lot of effort into getting it right. It is being translated into English right now! This is a history book describing how to perform and the history behind over 30 different games and sports. It spans between the Viking age and the early 20th century. 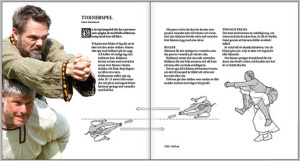 The first edition will be in English. 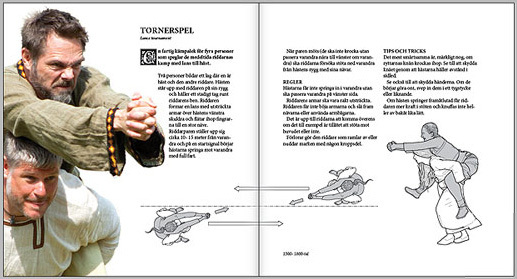 We are right now having the book translated and adjusted from our native Swedish language. It is nearly finished and the 21:St of October 2014 a crowdfunding event on Kickstarter.com (Link to the event will come soon) will begin. There you can pre order your copy that will ship to you just before Christmas. Olof Johansson is the Nestor of old games and sports and has gathered ancient documents on the subject for over 20 years. Martin Wande is a senior information designer and professional illustrator specialized in making ordinary people understand complex information. Together we have spent many years performing and teaching others how to play these ancient games and sports. 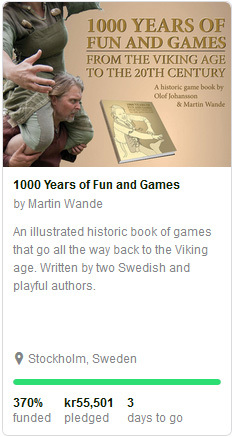 With our special abilities we have created this ultimate game book from our rich but forgotten cultural heritage of fun. Keep up to date at our Facebook Page. This is the first post starting off the historic game book we are making. 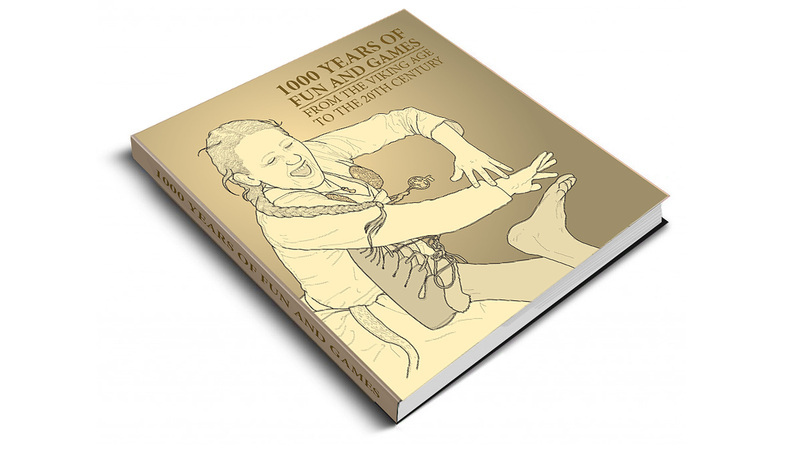 I Martin Wande and Olof Johansson are writing, photogaphing and illustrating a completely new and fun book about what our ancestors did for amusement. It spans all the way from the Viking age to the pre industrial age and our goal is to spread our cultural heritage of fun! Like the Facebook page so you don’t miss the first edition at the crowdfunding event that will start in a few weeks.